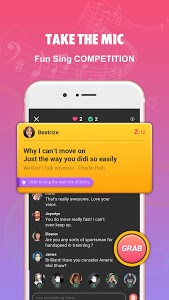 Want more friends and music lover? 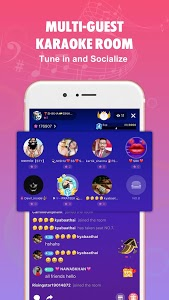 With trusted by more than 50M users, StarMaker is No.1 popular karaoke and simple stream network among Gobal Community. 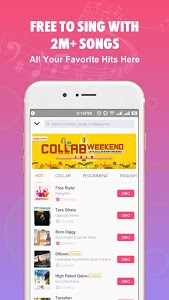 StarMaker offers biggest global and local song catalog, you can find Ed Sheeran, Shawn Mendes or your local tunes. 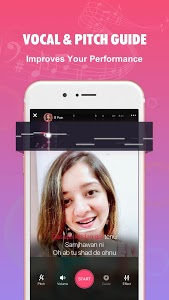 You can either free style or collab with other users by exclusive camera flitters and voice editor. 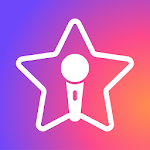 New feature ‘take the mic’ offers you an open stage that you can compete to sing the provided lyrics card, challenging the speed of getting the mic with 5 other Star Maker users. It’s a talent show to see who is the awesome king of live singing. Let’s enjoy world’s beats! Newly add Daily Task category, with exclusive VIP check-in and other hidden gems. Go and find out! Optimize Take The Mic experiences, add quick comment feature, mention on personal card and ranking award. New layout of direct message box, find out what are your friends up to! Having trouble to download or sing? Contact our customer service at [email protected], we’ll be happy to help and answer all your questions! 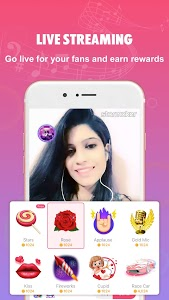 Sing Songs with the StarMaker Karaoke App! To sing, to Live! 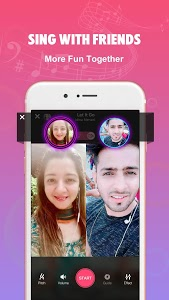 Similar to "StarMaker: Free to Sing with 50M+ Music Lovers"